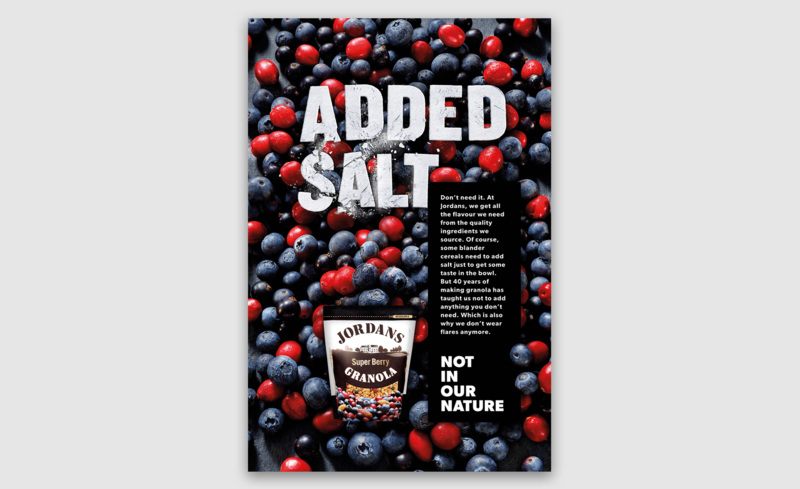 The Jordans "Not in our nature" campaign is all about taking the good stuff that they produce and showcasing they dont mess about with it. 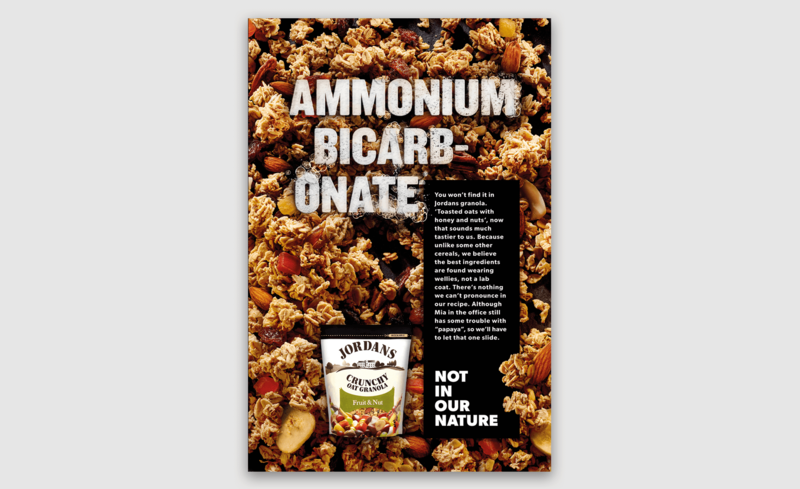 Unlike other cereals that hide all the chemicals and bad stuff, Jordans take a stance that showcase that those things simply dont exist in our products and you can be sure of that. 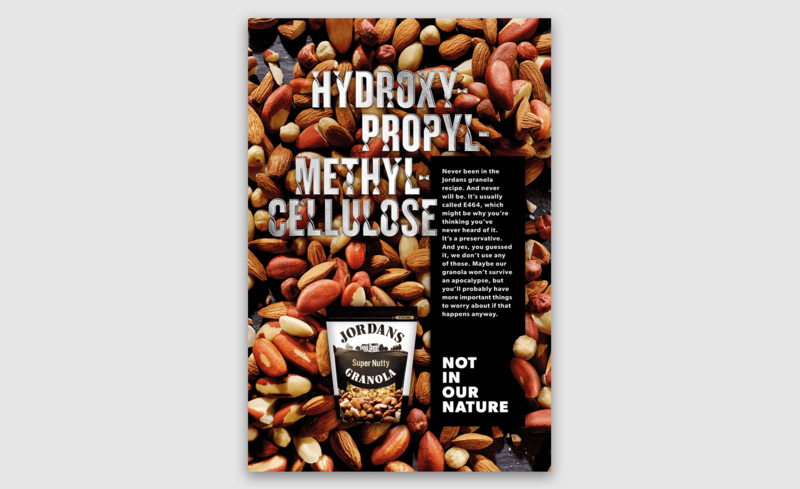 Through luscious natural photography that proudly heroes simplicity, to focus the attitude of taking the good stuff and not messing around with it paired with disruptive and chemical styled typography (illustrated by Steven Bonner) I worked closesly with art director Laura Muse to create a juxtaposition of the beautiful Jordans product against the chemical additives to create a striking print campaign.